Our November 14, 2012, our Veterans’ Remembrance program features author Eric Poole presenting a free lecture for the public. 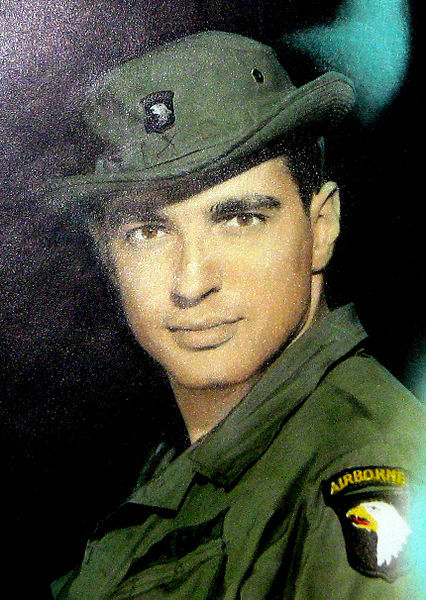 He discusses the story of Specialist 4 Leslie H. Sabo Jr. who was awarded the Congressional Medal of Honor 42 years after his death in Cambodia. This true story of an American Hero includes Sabo’s combat feats, a description of the unique bonds that link Vietnam veterans, and explores the power of sacrifice. On May 10, 1970, Sgt. Leslie Halasz Sabo Jr. of Ellwood City was killed in Cambodia during the Vietnam War. His fellow soldiers immediately recommended him for the U.S. military’s highest decoration for combat valor, the Medal of Honor. However, the records of his heroism were lost for nearly 30 years in a bureaucratic snafu that kept even his friends and family back home in Ellwood City, Pa., from knowing of Sabo’s courageous acts. Now finally, Sabo’s story has been told, and in 2012, the United States bestowed the Congressional Medal of Honor on this long-forgotten hero this year, 42 years after his death. Forgotten Honor by Eric Poole explores not only the story of Sabo’s combat feats, but also the unique bonds that link Vietnam veterans and the power of sacrifice. Poole is an award-winning reporter and columnist for the Ellwood City Ledger, Leslie Sabo’s hometown newspaper. Act of Courage, his 2007 Ledger story about Sabo, received a first-place Keystone Award from the Pennsylvania Newspaper Publishers Association and Pennsylvania Newspapers Association, and second-place honors from the Pennsylvania Associated Press Managing Editors Association. Poole lives in Ellwood City. Poole’s book, Forgotten Honor, The True Story of an American Hero, is widely available through bookstores. Rose Mary Sabo-Brown vividly remembers May 15, 1970, as the worst day of her life. United States Army MEDAL of HONOR – The nations highest medal for valor (his story defined by what he did in Cambodia on May 10, 1970).